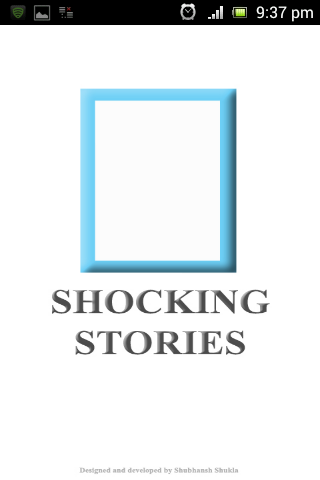 Shocking Stories is an android application that let you know about the most shocking incidence, bizarre things and abnormality and supernatural human beings. All the stories are real and posted for the people after complete analysis and study of each and every incidence. 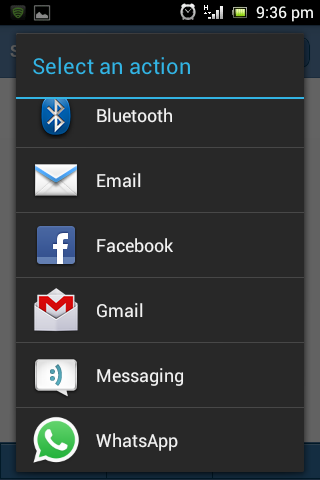 Application auto-update itself with new stories. 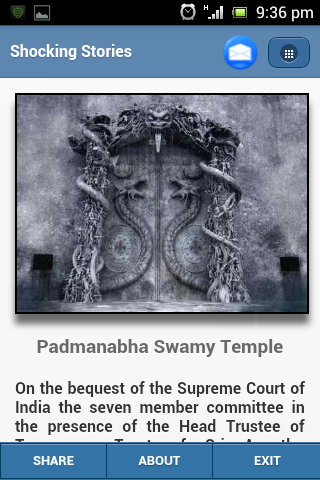 Application also provides its users to know about the shocking facts through shocking fact of the day feature. Every day you will get a new shocking fact to know. Users can share the facts as well as stories with their friends through social media inapp feature. The Application is an awesome product for all those people who want to know more about the mysteries, murders, abnormality and unusual incidences that actually happened in this world. Conceptualized, designed and developed solely by Shubhansh Shukla - India.